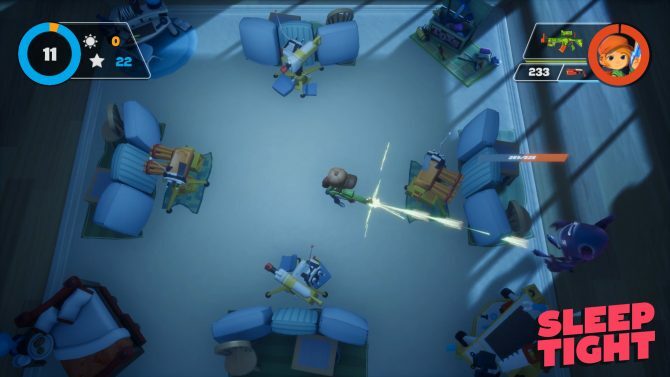 During this year’s PAX East 2018 several indie games were on display, and while many have caught my eye, We Are Fuzzy’s twin-stick shooter Sleep Tight is one of a small handful that has earned my undivided attention. Sleep Tight‘s premise has players controlling a kid as they defend themselves from hordes of creepy monsters that prey upon them at night. The concept is very simplistic, but also exciting; you choose one character, as there were only a small selection to choose from in the built presented at PAX East. However, more characters will be added into the game at launch, according to the development team. Each character has their own unique set of weapons and skills, and each child fits a particular playstyle that accommodates virtually every type of gamer. At night time, your character is required to survive the night before being KO’d by the monsters. As you progress through each night, the waves get more challenging, and more monsters will come out and take more damage. When the sun rises, it serves as the player’s haven. During that time, players can upgrade their weapons or build defenses such as walls or turrets (which will help increase your defenses), and replenish ammo. You can purchase these items via Stars and Suns (which you earn at night time), and a new horde wave will start once you spend all the suns in your inventory. Additionally, after every ten in-game nights, a ?Blood Moon? will trigger. Similar to boss battles, a Blood Moon means that the night phase is more prolonged and the population of monsters increase exponentially, and they are a bit more challenging. So, it’s important to spend your Stars and Suns wisely. I would not say the game is tough to grasp, but there is a healthy amount of challenge to the game thanks to its fast-paced gameplay and enemy portions. As I stated earlier, during the day phase, you can refill your ammo; I certainly recommend doing this because enemies you defeat during the horde sections will not drop any ammo. This means if you run out of ammo, you will be left defenseless until the sun rises. So, if you are the type that is reckless with their ammo, you may want to reconsider this approach when playing the game. However, the limitation on ammo is a strength, in a way; it rewards players who are wise and plan ahead versus those who want to shoot now and ask questions later. Visually, the game looks beautiful; the art style was vibrant and colorful, and during my intimate time with Sleep Tight I felt that I was playing inside a Pixar movie. During my hands-on demo, I played the PC version of this game and felt that controlling the game on a mouse and keyboard felt fluid and precise. Despite not getting hands-on time with the Switch version of the game, I have a feeling that this game will function perfectly well on a controller and there were times during my demo where I thought that a controller would have been more practical. Nevertheless, whether you play with a mouse and keyboard or with a controller, your character’s movements feel just the right about of balance – not too stiff, but not too loose. One thing that I am curious to see, however, is how the game runs on the Switch and specifically how it looks while playing in the system’s handheld mode. 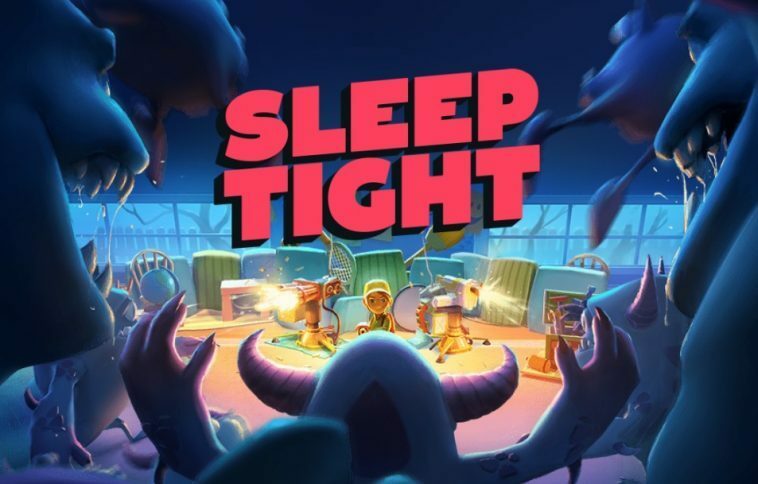 One (small) complaint that I have with the game is the lack of co-op play; Sleep Tight has the potential to be a fun local co-op game where you can sit with your friends on the couch and bust through as many days as you can before you’re defeated, which I am hoping that We Are Fuzzy intends on adding shortly after the game officially launches. Additionally, I wouldn’t mind seeing a story mode for the game as I can see the potential to have some type of campaign, because the horde mode could get boring for some players rather quickly. 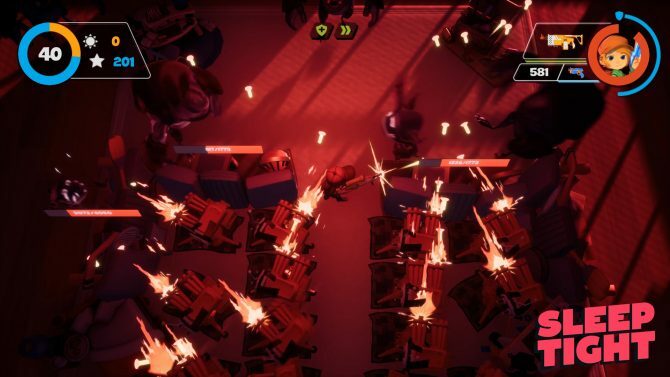 Still, Sleep Tight is a fun time and is perfect for those who would like to test their twin-stick skills and bust through as many nights as they can before they are defeated. What was present in the PAX East 2018 build that we played is a solid foundation, and I’m sure that the best from Sleep Tight is surely yet to come. Sleep Tight currently does not have a release date other than a 2018 launch window on PC and Switch.